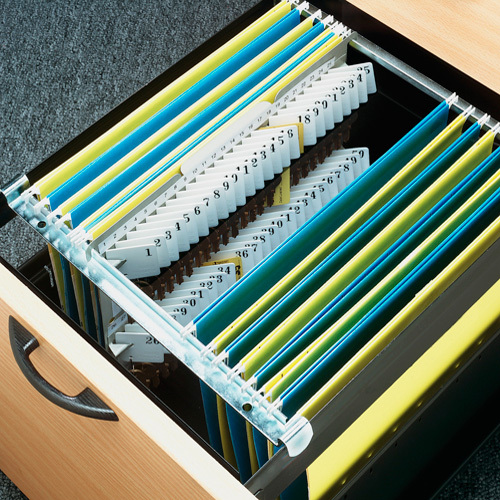 A unique space saving 50-key rack, designed to fit any standard Pendaflex - type hanging file system. You can secure 50 keys in just 2 inches! 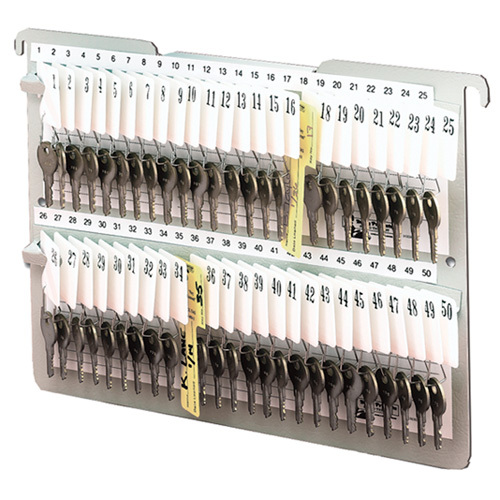 Letter size, the Key Caddy flips in and out of your locking file cabinet or desk drawer quickly and easily. 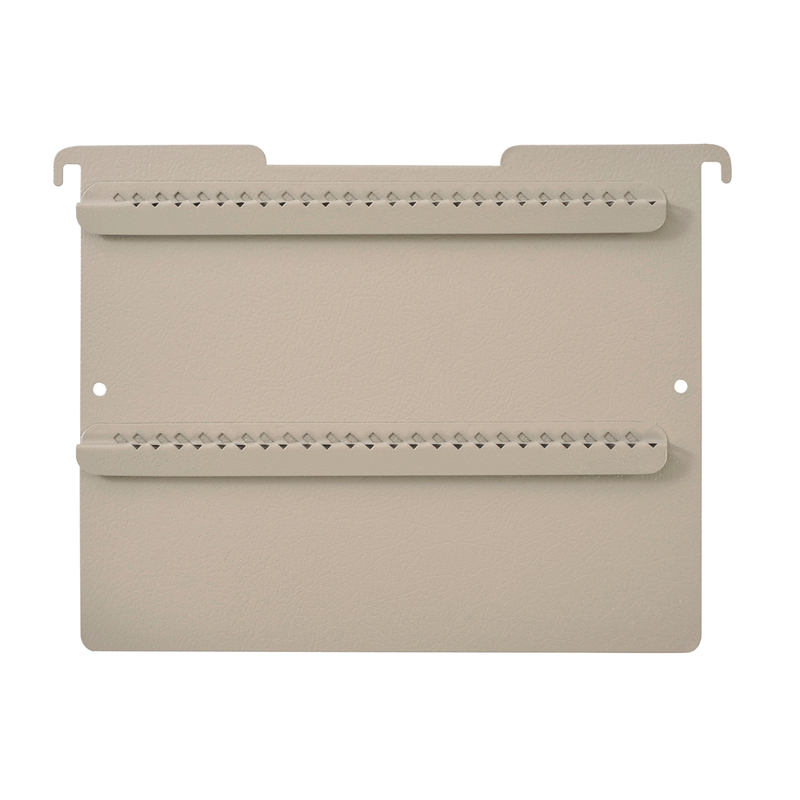 Embossed steel construction with putty enamel finish.